There are many industries that are driven by creativity and with this, new designs being developed. There are many individuals who are creative and can dream up new and innovative designs. Designs – in addition to other forms of intellectual property such as copyright and trade marks - drive marketing campaigns and affect how consumers purchase products. With the commercial success of a new design, however, often comes the opportunistic copycat. The question is can creators protect their designs? While designs are not as widely known or utilised in Jamaica, they are an important form of intellectual property and can be protected in Jamaica and are also protectable, in many other jurisdictions. In Jamaica, the relevant piece of legislation is the Designs Act of 1975 (the Act), which is proposed to be updated by the Patent and Designs Bill, which has yet to passed into legislation and there is no clear indication as to the timeline for the passing of the Bill. Despite the delay in the passage of the updated legislation however, authors of new designs may seek protection for their designs under the existing legislative framework. Under the Act, “design” means any design applicable to any article of manufacture, or to the shape, configuration or ornamental design of any artificial or natural substance whether by printing, painting, embroidering, weaving, sewing, modelling, casting, embossing, engraving, staining, or any other means whatever, manual, mechanical or chemical, separate or combined. In simple terms, a design is the appearance of a product or article of manufacture, and can cover industrial designs for items ranging from chairs, toothbrushes, containers, graphic designs, packaging designs, jewellery, costume designs or fashion designs. Examples of designs that have been registered in Jamaica include food containers, sports balls, coolers and spray caps for aerosol sprays. In order to protect a design, an application may be filed at the Jamaica Intellectual Property Office (JIPO) and must be accompanied with three (3) copies of the design itself, showing the different perspective views of the design. The application must contain a statement of the nature of the design, and the prescribed class or classes of goods in which the applicant desires that the design be registered. Under the current Act, there are sixteen (16) classes which cover goods such as, but not limited to, books and bookbinding of all materials, articles composed wholly of leather, carpets, rugs, boots and shoes, articles composed wholly of metal or in which metal predominate and jewellery, articles composed wholly of glass, earthenware, or porcelain, clay, printed or woven designs on textile piece goods, handkerchiefs and shawls. A design may be registered in more than one class, and protection for the design is limited to the classes that the design is registered in. Therefore, a proprietor will need to carefully consider what classes they wish for their designs to be registered in. When a design is registered, the registered proprietor of the design will have copyright in the design for fifteen (15) years from the registration date of the design. Currently, design registrations cannot be renewed in Jamaica. In other jurisdictions, designs can be renewed. One such jurisdiction is the United Kingdom, where designs are protected for an initial terms of five (5) years and can be renewed in further five (5) year periods up to a maximum period of twenty five (25) years. Before the delivery or sale of any article to which a registered design has been applied, the proprietor of such design must ensure that each such article is marked with the word REGISTERED or with the abbreviation REGD or with the abbreviation RD along with the registration number of the design. Failure to indicate that the design is registered will result in the copyright in the design ceasing, unless the proprietor can show that all proper steps to ensure the marking of the article were taken. During the existence of the copyright in a registered design, the proprietor will have the exclusive right to the design in the classes which the design is registered in, and can therefore prevent other people from copying or imitating their design. The proprietor will have a fifteen (15) year period whereby they will be able to recoup any initial investment and prevent any copycats from being able to profit from their intellectual property. If a person acts in contravention of this exclusive right of the proprietor, and infringes on a proprietor’s registered design, for every offence, the infringer shall be liable to forfeit a sum not exceeding One Hundred Jamaican Dollars to the registered proprietor, and the registered proprietor may, by action brought in the courts, recover either such sum as a simple contract debt, or damages arising from any breach of their intellectual property right. While the current prescribed fine is a very low sum, the registered proprietor may be able to recover larger sums through court action. A design can be so profitable that a proprietor may find that it is worthwhile financially to go through the trouble and expense of court action to seek damages and to stop a person from copying their designs. Another aspect for a proprietor to consider is that during the existence of a copyright of a design, the design shall not be open to inspection by the general public at JIPO. Additionally, copies of the design may not be taken. However, when the copyright in a design has expired, the design shall be open to inspection by the general public, and copies may be taken by any person. As such, at the expiration of fifteen (15) years, the general public will be able to examine the drawings related to a design and copy the design. However, it is also highly possible, that if a design is successful, opportunistic imitators will copy the design and flood the market with the copies. At least with an initial registration, the proprietor will have the exclusive right to use the design, and can seek legal recourse. Weighing the facts mentioned above, a proprietor will have to weigh the advantages and disadvantages of registering their designs. Some designs are the products of considerable financial and human resources, and a proprietor may want to ensure that they recoup their initial investment within the fifteen (15) years without the danger of copycats. Some designs by their very nature will have a very brief commercial life, and as such will not require protection past the fifteen (15) years, and accordingly, the loss in a third party being able to examine and copy their design at the end of the registration period is minimal. 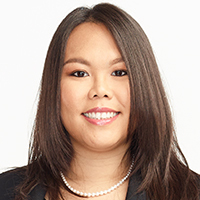 Helen Liu is an Associate at Myers, Fletcher & Gordon, and is a member of the firm’s Commercial Department. Helen may be contacted via Helen.liu@mfg.com.jm or www.myersfletcher.com. This article is for general information purposes only and does not constitute legal advice.